Because each order is custom made, your own unique look is created with any of our beanie styles. 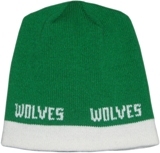 Your name is knit into each side of the beanie on one or two lines using our standard block lettering. We recommend using names of four to nine characters because this works best in the knitting process. Shorter names may need to repeat three or four times around the hat. 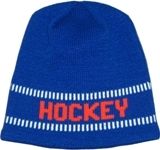 For an additional set-up fee we can usually knit a different name into each side of the beanie or wrap very long names around the hat. 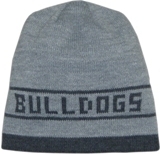 Our beanies are knit as Adult “One Size Fits Most”. Many can also be made in a slightly Smaller Youth Size. Please contact our Customer Service Department for further information.